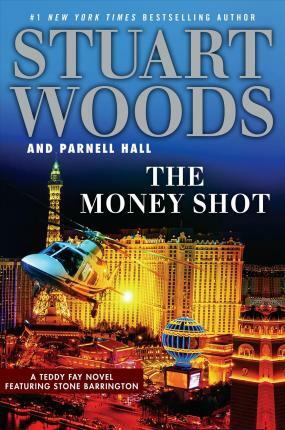 In the exhilarating new adventure from #1 New York Times-bestselling author Stuart Woods, Teddy Fay races to stop a scheme of extortion and a hostile takeover. Ever a man of mystery and intrigue, Teddy Fay has donned a new disguise--that of Mark Weldon, a stuntman and actor starring in Centurion Studios' newest film. When the picture's leading lady begins receiving blackmail threats, Teddy is in the perfect position to investigate, and it soon becomes clear that the villains have more in their sights than just money. Money they've got. What they need is prestige, the cache of a respected studio to lend authority and legitimacy to their artistic endeavors . . . and a little bit of vengeance in the bargain. From the seedy hidden corners of Los Angeles to the glamorous Hollywood Hills, it will take every ounce of Teddy's cunning to save an actress's career, protect the studio, and finish filming Centurion's next big hit. Stuart Woods is the author of more than sixty novels. He is a native of Georgia and began his writing career in the advertising industry. Chiefs, his debut in 1981, won the Edgar Award. An avid sailor and pilot, Woods lives in Florida, Maine, and New Mexico. Parnell Hall has been an actor, screenwriter, and singer/songwriter. He is a former president of the Private Eye Writers of America and a member of Sisters in Crime. He has been a finalist for an Edgar, two Lefty, and three Shamus Awards. Parnell lives in New York City.